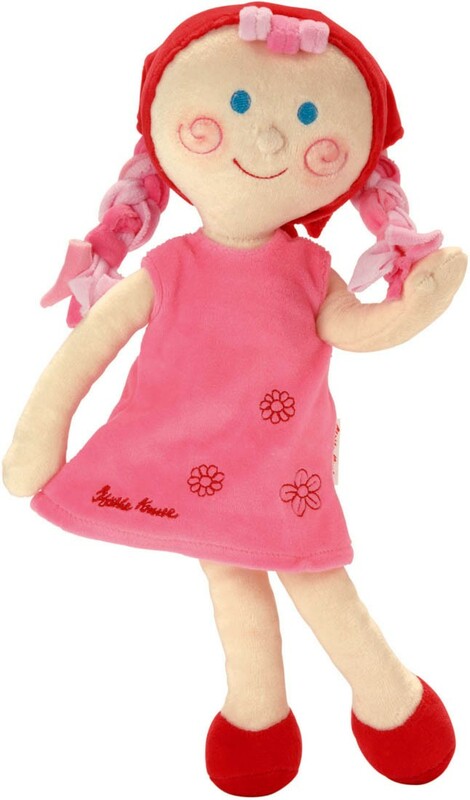 Lilli is a soft cloth doll wearing a pink fleece jumper with red flowers and cloth shoes. A matching bandana covers her colorful braided cloth hair. 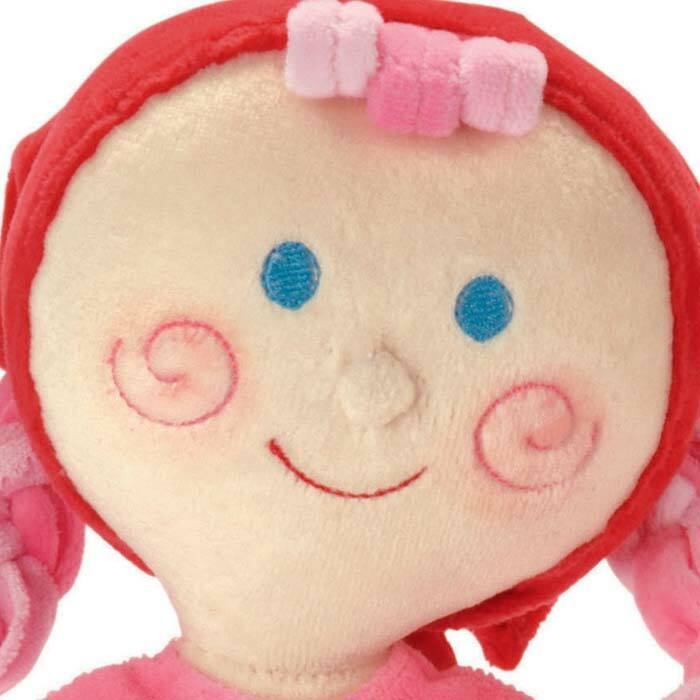 Her whimsical facial features will make you smile. 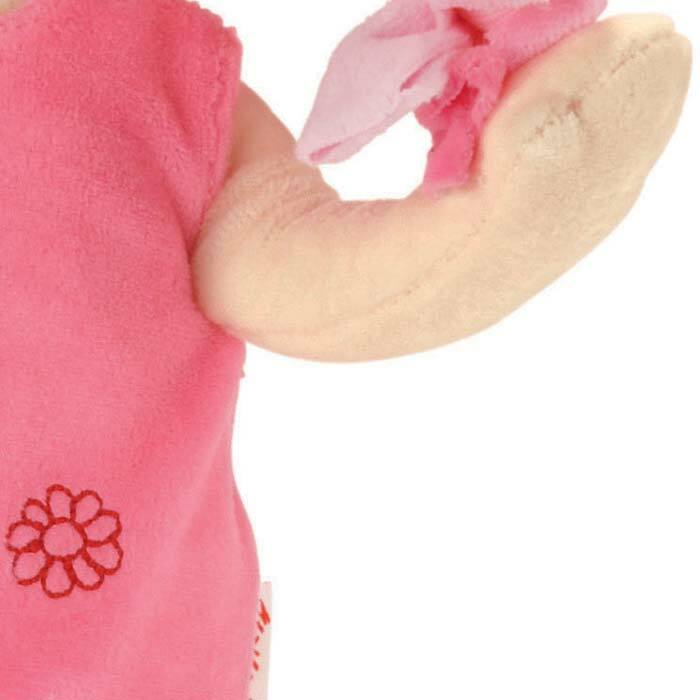 A perfect and safe companion for a growing baby or older child. Lilli is a sister to Elli, who stars in the Maytag Washer TV commercial.